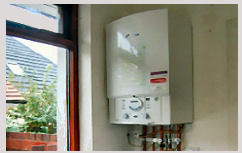 We can carry out a full range of plumbing and heating work from a boiler change to a tap washer. T Cosgrove Plumbing is owned and managed by Tony Cosgrove who has been involved in the plumbing and central heating services industry for over 40 years having previously worked for a broad range of companies in the building trade and in the private housing sector. We offer a varied and comprehensive service and installation of all gas appliances and a plumbing service to cover most plumbing emergencies. We welcome enquiries on all aspects of plumbing and gas servicing, installation and repair in Glasgow and it's surrounding area. Call for a price or a quote. We are also happy to respond to texts or emails, most small jobs are completed within an hour. We offer competitive rates and a genuine *seven day service*. We are fully insured and Gas safe registered and all of our work is fully guaranteed. We can carry out repairs and servicing to all major boilers brands such as Vokera, Sabre, Ferolli, Ideal, Baxi, Main, Glowworm, Worcester, Ariston and Potterton. We also carry out all domestic plumbing and heating work. WC cisterns repaired and replaced. Electric showers repaired or replaced. Mixer showers installed and repaired. Leaking pipes including waste pipes. Blocked wastes and WC toilets. We can also repair or replace electric showers and high and low pressure mixer showers from makes such as Triton and Mira or replace obscure showers with a like for like replacement with a shower from both of the manufacturer's above. We can supply and install quality central heating condensing combi boilers from the likes of Vokera, Worcester Bosch, Ideal, Baxi, Potterton, Valliant, Main, Ariston with up to ten year warranties on some of boilers. We also supply and install wireless programmable room thermostats from Honeywell, Worcester, Bosch, Ideal, Drayton & Nest etc.